We can do that guys! At least till Cape Verd you are on board!”. With these words two Italian capitains welcomed us on their sailing boat “Fetse”, to start the biggest and most fascinating journey so far of The Locomotive of Freedom! After about one month spent researching a boat in Las Palmas, we are on move again! Our joy explode after those words, aware that the two captains will later on go direction Brasil and there are big possibilities that we can stay on board and follow them in the crossing of the Atalantic Ocean! Francesco and Marco their names, we have found them exactly when they were looking for a crew! They give us 10 day before the next departure, meaning we can goodbye Canary Islands and all the beautiful people we met in here… We come back to the Tomatera, the squat that hosted us during our research and we communicate to everybody our fantastic news. Everybody is happy, on the wings of enthusiasm we organize together the first night of a series of Documentaries which will be broadcasted weekly in the space “El Taller”, opened by the friends of Tomatera and available for the neighboporhood of Guanarteme. We recycle food for the event, in order to show everybody how many good food supermarket throw everyday in the garbages. The idea of offering recycled food come together with the documentary we show to the people “We feed the world”, that talks about the mass production of food and the consequences of this craziness of our epoque. The documentary night goes along very well and many people participate and interact over the topic presented. We leave the house to embark in our new journey full of emotions and charged of the energy that those beautiful human beings gave us during this day of fantastic sharing! The first Sunday of May, we jump on the Fetse and we sail out of Las Palmas direction Cape Verd. New emotions take us over: in the second day of navigation we find ourselves already on the immensity of the ocean…no visible land sorrounding us… Six days of deep discovering of the sea while learning always more about sailing and about our capitains. 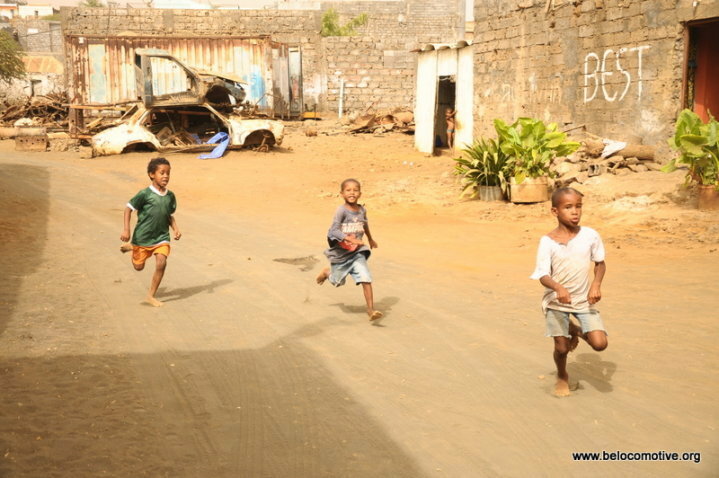 We stop in Mindelo, Island of S.Vicente and then we move to Ilha Brava. The latter amaze us with its beauty, its stunning nature and the peaceful people who live in it. Cape Verd is a real fascinating country. Everything is absolutely peaceful and relaxed. 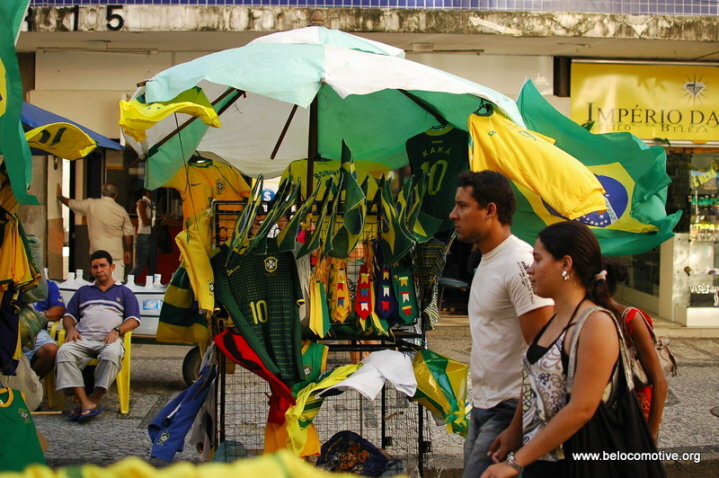 The culture is a mingle between the African and the Brazilian one, as the language is…We enjoy three days and we discover that we can follow the capitains till Brazil! We are so happy for this good news, which was anyway living in the air since we left Las Palmas. 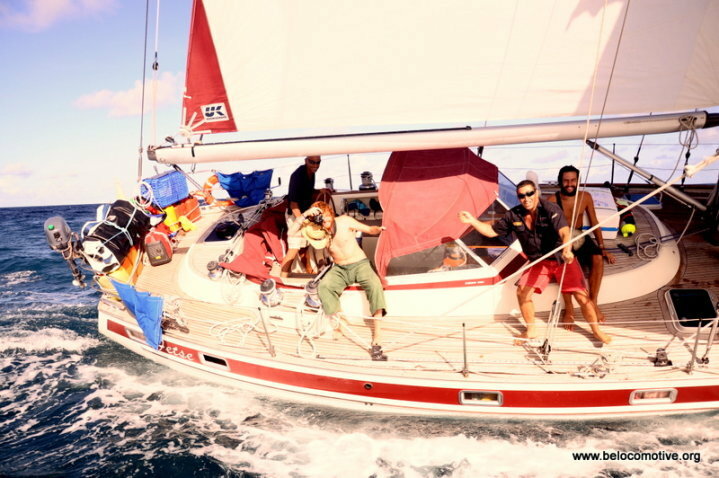 We leave than all together the island, direction Brazil and there the real adventure in the ocean begin…Living in a sailing boat change rtadically the perception of life. Time is a flow that follow the wave´s rythm and make us dig deeper on our thoughts. Everyone live the immensity of the ocean in his own way, everyone live its immensity of life in those moments, in which only the sea sorround us. That´s not distraction in the ocean, you are what you think, all that arises from your thoughts. The experience alone deserves a whole article in order to be worthly explained. 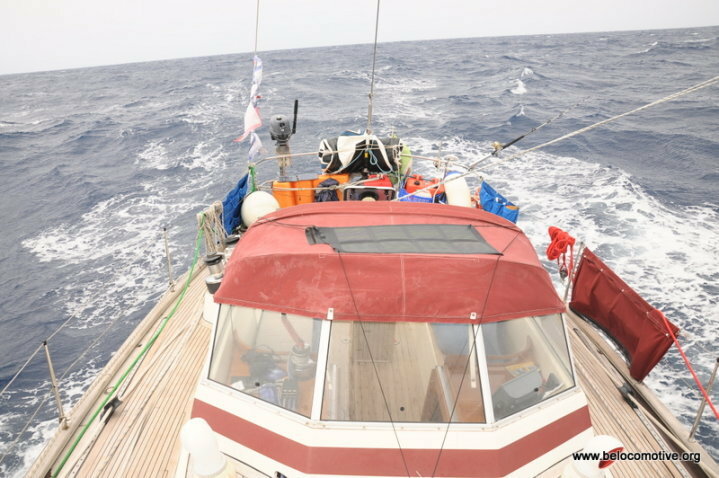 A special sail called MPS (multi pourpose sailing) make us flying over the sea at a speed of 7,5 knots on awerage, in the first 4 days we easily and gladly ride almost the half of the distance. In the evening of the fourth day though, an exepeted rain surprise us, generating a violent wind that scramble that magic sail and make our boat go crazy. The MPS break in two side. Francesco, the captain, is hurled on the edge of the boat and have to firmly withstand to do not get swallowed by the water and its crazy waves. Fortunately, after a couple of mad minutes, everything turn quite again, and once we remnove what is left of the MPS, the Fetse is quite steady again and our journey can continue. The experience is strong for all of us and the night after this adventure everyone has a lot to think over the happening. Our speed got reduced after the loss of the sail but the moral of the crew is still high and we progressively approch the equatorial line. A new wind coming from North-East cross our way and prompt us always faster direction Brazil. Astonishingly, in 8 days we are already at the doors of South America, in front of the natural paradise of the island of Fernando de Noronha. Land! We decide to make a break in the island and to travel around one of the most beautiful place that the planet Earth offers. The island is a fantastic tropical garden in the middle of the Atlantic where all sorts of animals live together with a dinasty of human beings, in perfect harmony. 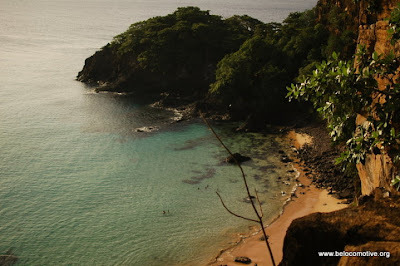 We go everywhere in the island the first day and only the second days of permanence we figure out that in the island exists a “tax of preservation” which is compulsory to pay for every tourist who pass by Fernando de Noronha. That´s the way why the authorities intend to protect the island from investors, dealers, over-population and any sort of trouble, protecting the natural balance. Traveling no money, we are thus obliged to stand on the boat till our capitains want to leave the island. We spent two days in the boat in front of a fantastic beach, esteeming deeply the beauty of the location, before sailing again direction North East of Brasil.In one day of sailing we are already in Natal, with the feet in the new continent! Being Natal lacking a marina to stand, after one day of mooring we move to Recife and there we anchor and we clean up the boat completely, before offering our most sincere thanks to the two captains that made this dream becoming possible. We are now in Recife, discovering Brasil, trying to fix the screeen of our laptop that got broken during the crossing and deeply inside a new process of learning of a new culture, a new way of leaving and a new language: portogues, that fascinate the three of us and motivate our brains towards new learnings. We are now in a new dimension, bringing our dimensions, sharing with people the philosophy we are developing during this journey and confronting ourselves always more…confronting our ideas, our learnings, and the teaching life is daily giving us. Three open minds that are growing day after day, thanks to the immensity of life and the magic of a certain thing called People. Raphael & Benjamin! Reading your posts, I am totally in awe! You guys are amazing, and I am itching to meet you if/when you come to the US. Much love to you to nudge you on your way!